Scope planning process: progressively iterative and critical to set and manage expectation. To understand a project you need to understand project impact and an impact assessment is a project tool to outline the scope of project impact. Projects impact people and project success relies on people impact for adoption. Projects can have success without project tools and templates, but project tools provide a sanity check for random, emotional, and irrational acts people are capable of. Are tools a prescription for success? No, never. But certainly tools can provide reason against the emotional and reactive behaviors we people are capable of. The past year I modified the suite of project templates from Microsoft Excel for use in Microsoft SharePoint, an integrated collaboration and publishing tool. SharePoint is a great collaboration tool to improve project management experience. I now offer the old set of Excel scope templates to anyone using SharePoint, as well as new opportunity register and change management tools within SharePoint. Projects have impact. Impact affects risk. Risk affects hope. Hope affects scope. 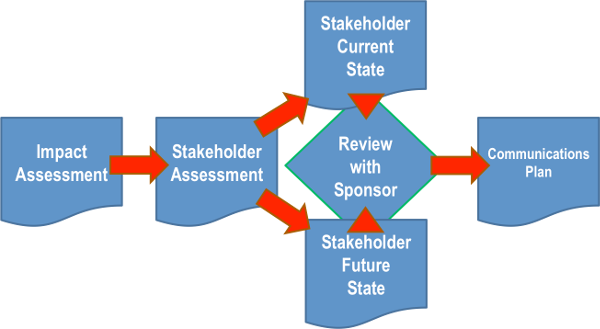 An impact analysis is an early-phase assessment to identify all stakeholders, their needs, their awareness, and their insight into the project before they surprise you. Either two of those reasons, therefore, impact current-state, but too often, projects kick-off before a true understanding on the impact to people, process, and technology. The SharePoint Impact Analysis template looks like this and stores in a SharePoint list. To download the template, jump below. Download the SharePoint Impact Analysis Template to your hard drive. To learn how to upload to your SharePoint site see appendix in below deck. Once uploaded you can customize as necessary. Sure Thanks for sharing. Good free templates are hard to find around. Project management templates are not that relevant when it come to specific projects. Construction and I.T as an example. Not sure I get your point/counterpoint for good free templates, but templates have little relevance in construction or information technology. Where is project documentation and templates for standardization to help identify and build project alignment more important than in construction or information technology?